"Saturday Night Live" star Leslie Jones' personal website is down after reportedly being targeted by hackers Wednesday. Jones' manager and lawyer have not responded to CNNMoney's request for comment. Jones, too, has been silent on social media. Hackers are said to have posted some of her personal information and a video tribute of the slain Cincinnati Zoo gorilla -- harkening back to racially charged harassment Jones received on Twitter last month. As of Wednesday morning, www.JustLeslie.com redirects to a domain purchasing page. In July, Jones was bombarded with hate-filled Twitter comments after Breitbart's Milo Yiannopoulos wrote a scathing review of Ghostbusters. Yiannopoulos, who had more than 350,000 followers on Twitter, was known for instigating controversy on the platform and Jones blamed him for riling up his supporters to come after her. Jones separately criticized Twitter for its inability to filter hateful content, and the platform permanently banned Yiannopoulos. Twitter has been caught in the middle of this contentious debate about the line between free speech and hate speech. After news broke that Jones had been hacked, celebrities -- from Katy Perry to Questlove to Octavia Spencer -- shared their support of Jones on Twitter. so angry, disgusted and sad about this racist violent assault on leslie. But the trolls on Twitter were also vocal -- other users tweeted their support of the cyberattack on Jones. While he can't tweet, Yiannopoulos told CNNMoney: "I'm distressed to hear that Leslie Jones has been hacked and naked pictures of her have been posted online." 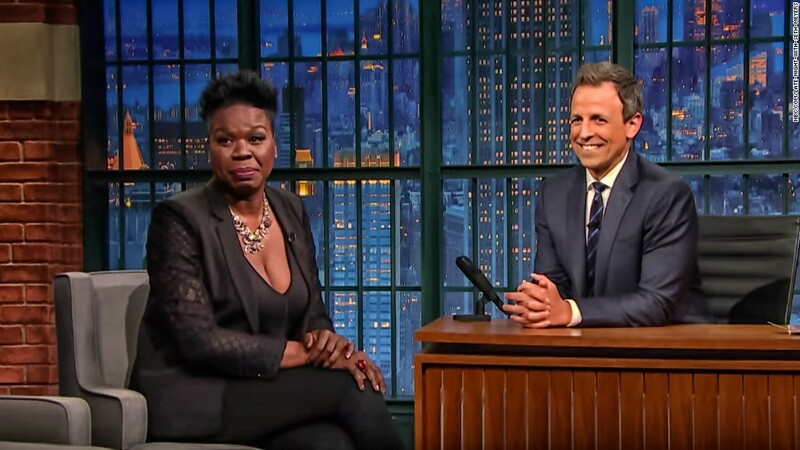 Last month, Jones opened up about the drama to Seth Meyers, and said while insults didn't hurt her, the incident was frightening. "Unfortunately I'm used to insults, but what scared me was the injustice of a gang of people jumping against you for such a sick cause," she told the "Late Night" host. "It's so gross and mean and unnecessary."